Could It Be...an Echo Chamber? Andrew Brietbart posted an edited clip of Shirley Sherrod. Chaos ensued. Sherrod was fired and it’s the fault of Fox News. Or is it? Herewith a case study of Fox Haters and their noise machine. Michael Clemente, senior vice president of news editorial, said the network’s news programs reported the story with caution. “When I heard about this Monday morning and saw it on Breitbart’s website, I said, ‘OK, could be a story, let’s check it out,’ ” Clemente said. “We did the normal fact-finding we would do on any story.” At an afternoon editorial meeting Monday, Clemente urged the staff to first get the facts and obtain comment from Sherrod before going on air, according to internal notes from the meeting that were provided to The Times. “Let’s make sure we do this right,” he said. Racism is about the abuse of power. Sherrod had it in her position at USDA. According to her remarks, she mistreated a white farmer in need of assistance because of his race. The first reported piece on Fox News, by correspondent James Rosen, aired on Tuesday morning, and included a second video clip that added context to Sherrod’s comments. Along with the LA Times, reports from Mediaite, the Washington Post, and others make one thing clear: nothing that aired on FNC could possibly have caused Ms Sherrod’s firing, because FNC aired nothing until after she was already gone. That’s not a matter of opinion; it’s fact. So now the fun begins, as the haters kick into high gear. They cut 2 minutes out of a 43-minute speech, showed it over and over and said it proved she was a racist who had given poor service to a needy farmer just because he was white. 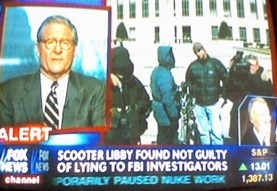 Fox made it the scandal of the day.... The NAACP called on the Agriculture Department to reconsider their dismissal of Sherrod. They should apologize, give her job back, and learn a lesson about reacting to the Fox bullies. A clip of that speech made the rounds of right wing blogs and media outlets -- Fox News, for instance -- and in no time Vilsack ordered the woman canned. Fox News, several of whose miserable excuses for journalists relentlessly plugged the entirely false story until Sherrod was fired. Earlier today, we asked you to stand with Shirley Sherrod after the White House fired her based on the lies and twisted reporting of Fox News. Andrew Breitbart, an individual whose subversive views are well known, posted the product on a website and it had the predictable effect. Fox News picked it up and went to town, running it on an endless loop, without any fact-checking at all. The White House panicked over the reports and, like previous staff members and appointees, jettisoned Sherrod by demanding her resignation through Tom Vilsack, the Secretary of Agriculture. Is there anyone Obama won't fire or throw under the bus if Fox asks him to?... If the firing of Shirley Sherrod was the first time they had done this, then all of the criticism they have received might be a bit much. A Victim of Fox News...He cut two minutes out of a 43-minute speech, and he, Fox and others on the right-hand side of the dial showed it over and over, telling their gullible listeners that it proved Sherrod was a racist who had given poor service to a needy farmer just because he was white. Unfortunately, the NAACP and the White House fell for it... The USDA put her on administrative leave in the morning and demanded her resignation in the afternoon. The most disturbing part of this is not that Mr. Breitbart created this falsehood, nor that Fake, I mean, Faux, I mean Fox News immediately jumped on it and gave it mucho air time.... What is disturbing is how quickly the administration bought into this story, did not even TRY to verify it, and forced a resignation from Ms. Sherrod. Fox “news” anchors were salivating like starving cats looking at a raw piece of tuna, as they told the tale of racism at the NAACP. The more vitriolic pundits turned it into “further” evidence that Obama hates white people.... So what do Tom Vilsack, the United States Secretary Of Agriculture (Shirley Sherrod’s boss) and the white house administration do when an incriminating video is released from a dubious source? They naturally spring into action to try and minimize the hurt that the video and Fox news are putting on them by demanding Shirley’s resignation. Fox News took up the story immediately, late in the evening. Breitbart and Fox News were targeting the NAACP, which had made accusations that the Tea Party is racist. The NAACP saw the clips and said that Sherrod’s behavior was unacceptable. Early the next morning, Fox News anchor Bill O’Reilly called for Sherrod’s dismissal. Fox News hammered the story all day, hardly pausing in trumpeting its propaganda. Sherrod was forced to resign while she was driving home from a meeting several hours from her home. She was told that the White House had concerns about the fact that the story would be be featured on Glenn Beck’s evening show. She resigned. An African-American woman is accused of being a racist on a wingnut site. Fox News takes up the story and repeats it all day in order to embarrass the Obama administration. The woman gets fired. Shawn [sic] Hannity, Glenn Beck, Bill O’Reilly and others on Fox News repeated the erroneous information as fact, and slanted Sherrod’s views as coming from her own racial prejudice.... The unedited “full story” came too late. Fox News had created the desired outcome. Sherrod was fired. The NAACP, the USDA and the White House shouldn’t have been so quick to jump when Fox and Breitbart told them to. So many people saying the same thing. It’s almost like there’s...an echo chamber. But that wouldn’t affect honorable establishment media, like the McClatchy Newspapers, would it? Posted on the website of right-wing provocateur Andrew Breitbart, and then trumpeted on Fox News and other cable channels, the video made it sound like the African-American Sherrod had once refused to aid a farm couple because they were white. Conservatives went wild with indignation. In a hasty reaction, the NAACP called for Sherrod's head, too. Agriculture Secretary Tom Vilsack got it. How about NBC affiliate KARE? Conservative blogger Andrew Breitbart posted only that part of the speech, to boost his own claim that the NAACP is racist. FOX News commentators ran with the story and demanded Sherrod's resignation from her job as director of rural development in Georgia. That led to USDA administrators to ask for her resignation Monday. We've got a White House that reacted to a blog story that was reported, promoted and sold on Fox News. Um, sure, Ed. Here’s a cookie. Go away. What sort of timeline does disbarred attorney John Dean present? Fox News ran large with the story, with prime-time hosts O'Reilly and Hannity in red-faced rage over Sherrod's remarks, calling for her head. The Obama Administration quickly, and thoughtlessly, fired Sherrod, and the NAACP foolishly embraced her firing. Why are we not surprised that discredited hack Eric Boehlert turns up too? Look, the first mistake they made, or the Department of Agriculture, or whoever was making the calls, they believed something that Andrew Breitbart put on his Web site. That‘s mistake one. And then they believed a smear campaign, a character assassination attack that Fox News was peddling. Then the right-wing echo chamber -- including Fox News and the conservative blogosphere -- picked up Breitbart's ball and ran with it. Next, the mainstream media -- the daily newspapers and the TV networks -- took the false accusations at face value and repeated them without bothering to verify and fact-check, acting more like stenographers than reporters. Finally, liberal groups like the NAACP and liberal politicians (in this case, Agriculture Secretary Tom Vilsack and the White House), wary of any controversy, jumped the gun and distanced themselves from the target of Breitbart's attacks -- by firing Sherrod before she even had an opportunity to explain or they bothered to investigate the accusations. Why would Fox News think Breitbart is a credible source and use his material on the air? Possibly the same reason MSNBC and CNN did. Why would Fox News then blame the White House for their overreaction to an incendiary video that was aired on the Fox News Channel? FOX NEWS' JUDGE ANDREW NAPOLITANO GOES ROUGE! Bill O’Reilly jumped on the ban [sic] wagon. Also Fox news. Anyway when wind of this got to the WHITE house [sic] Secretary Vilsac [sic], a white man, CALLED HER ON HER Blackberry while she was driving down the road and demanded she resign…She pulled over and did just that. A completely discredited right-wing blogger posts an edited video which seems to convict a black Agriculture department official of racism. Fox News runs the distorted clip continuously on all of its shows Monday. Before giving Shirley Sherrod a chance to tell her side of the story, the Agriculture department demands and receives the resignation of the head of its rural development office in Georgia. Funny how this bogus timeline keeps cropping up. Didn’t they close journo-list? Clearly Charles Kaiser is either a flagrant liar and making stuff up, or he heard this from somewhere else. 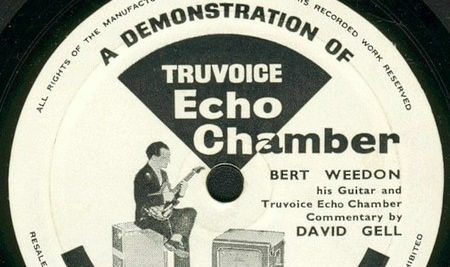 That’s sounds an awful lot like...an echo chamber. The discussion of the Sherrod saga has been marked by an inability to distinguish between the media techniques employed by ideologically motivated media on the left, and those used by Breitbart's operation and sometimes Fox. What's not being acknowledged is that the latter camp is far more willing to use tactics that are pretty much indistinguishable from political opposition research.... Do some left wing commentators say crazy things? Sure. But high-profile commentators on the left, for instance at networks like MSNBC, inarguably hold themselves to a higher factual standard than Glenn Beck and Bill O'Reilly. 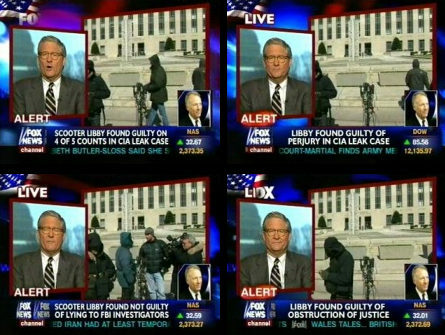 STEWART: Well, as much as the Fox banner that we talked about a little bit was surprising, we‘ll say, deciding Libby not guilty was the lead, because he got off of one of five charges, do they just know their audience? What's more, sites like HuffPo and TPM, while perhaps ideologically and politically motivated in some ways, have teams of reporters who are devoted to determining what's fair and accurate before sharing it with readers. These reporters would never run with a video like the one leaked to Breitbart without making a serious effort to contextualize it and determine its significance and accuracy. Um, wasn’t that what TPM did to Peter Johnson Jr? And as for HuffPo, despite their parroting false stories, and attacking people with incorrect facts, is your memory really so short (or selective) that you don’t remember this? Huffington Post Smear of John Gibson Uses Doctored Video! Yeah, HuffPo really made a “serious effort” to determine the “accuracy” of this video before posting it, didn’t they Greg? Spot something you’d like to see on the next Fox Haters Week in Review? Send us an email! UPDATE: See our special follow-up post here.